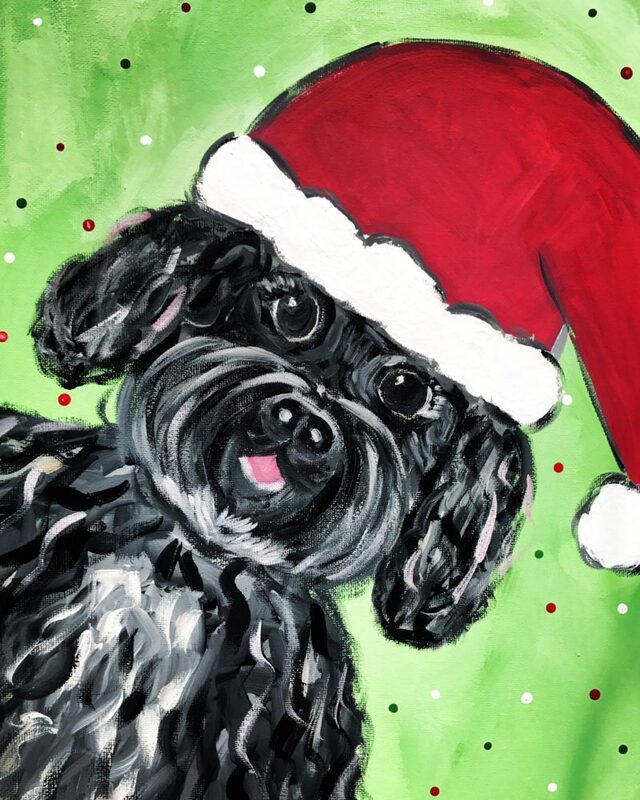 Paint Your Pet: Holiday Edition! These ongoing, monthly, just-for-fun creative sessions with Christina Micket are a great way for Kids ages 5-12 yrs to spend a Saturday morning. In this class, the kids will be taught the basics of painting and will be guided through choosing colors and painting an imaginative portrait of their pet. Recommended age is 5 +. Seating is limited to 25. Please bring an apron if you own one. Christina Micket is a painter and experienced paint event instructor that has been painting for Arts on Main, in Gloucester Village for the last four years. She specializes in both childrens and adults paint events and does both through the launch of her business Artsy With Christina. She believes creating is for all ages & is important through all stages of life. Christina shares her artwork through local art markets, private commissions and has painted two murals in Gloucester County. Registration can be made over the phone at 804-824-9464 or online via the link below. Class is $15 and includes all supplies, a snack and drink. These classes usually fill quickly and space is limited! Please reserve by 5pm the day prior.